The floor of the Standard Grill at the Standard Hotel New York has a floor made up entirely of Lincoln Head Cents (a.k.a. pennies). 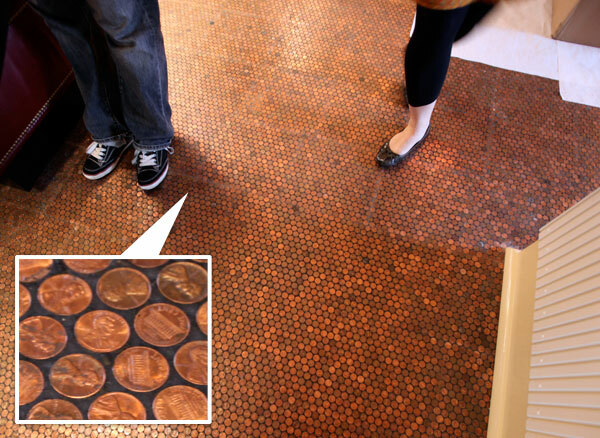 I question they’re all actually copper, as stated in the article, since they’d have to be minted before 1982, but it’s a cool floor regardless.